While it may look like a mega-playscape, the Early Learning Junction is really much, much more. Why? 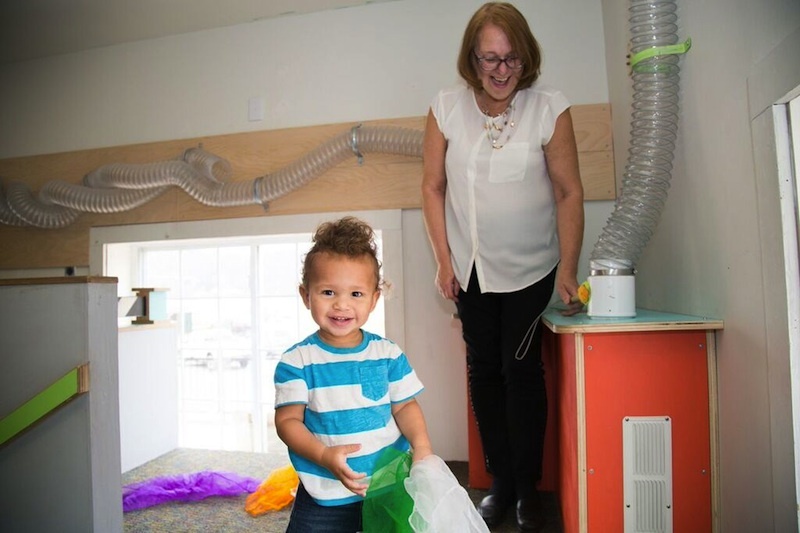 Because exhibits in this dynamic early learning space were specifically designed to encourage the development of critical school readiness skills in young children ages 0-4. A child’s readiness for school is typically measured across five distinct but connected domains: 1) fine and gross motor development; 2) social and emotional development; 3) approaches to learning; 4) early language and literacy skill development; and 5) cognition and general knowledge. Each exhibit in this space promotes one or more of these learning areas. This exhibit invites young children to climb, crawl and scoot their way through the multi-level, interactive space. Along the way, children encounter several interactive air-play exhibits, can crank discs up a conveyer belt to a larger-than-life plinko board, explore textures and discover new hide-away spaces. 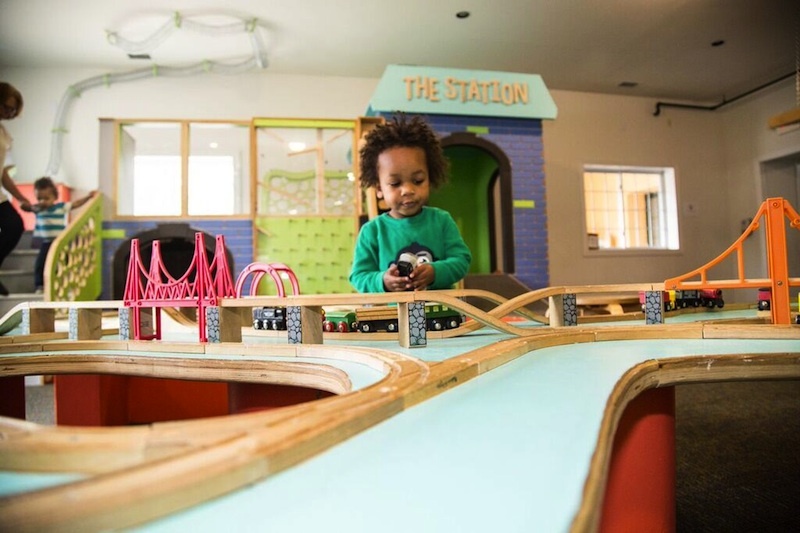 This exhibit is an enormous custom-built wooden train table that encourages sharing, communication, fine motor coordination, and imaginative play. 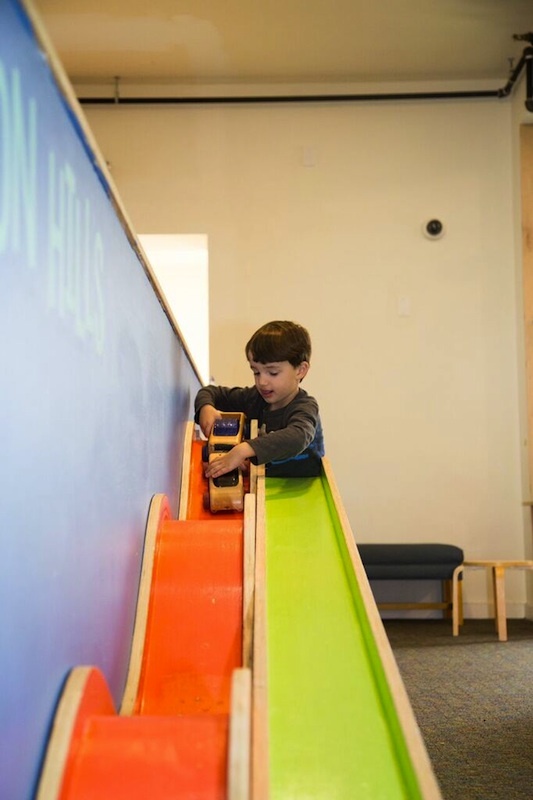 Inspired by the rolling hills and roadways in our area, this exhibit invites children to experiment with objects moving along a series of ramps and tracks. 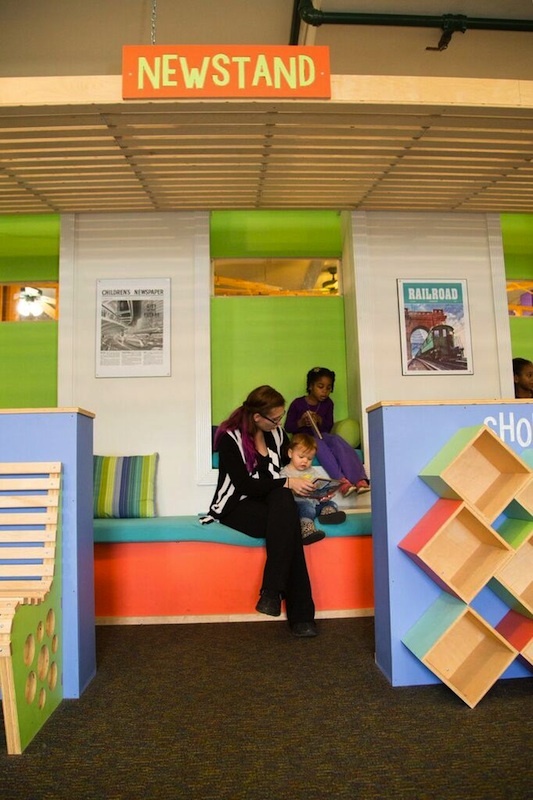 Step inside this comfy reading space and share a book (or several) with your child. This space features a full library of storybooks, as well as seating and alcoves to encourage leisurely story time reading. Want to know more about these exhibits? Click here. Early Learning Junction was developed with funding from the H.W. Wilson Foundation, the United Way of the Dutchess-Orange Region and the Dyson Foundation. Its creation opened the door for the formation of a new early learning collaborative network among the Mid-Hudson Children’s Museum, the Smithsonian Early Enrichment Center (SEEC) in Washington, D.C., Poughkeepsie Head Start, Universal Pre-K at Smith School and the Catharine Street Community Center.